SEATTLE, WA–SING,(Marketwired – Jan 30, 2017) – CFN Media Group, the leading creative agency and digital media network dedicated to legal cannabis, announces the publication of an exclusive executive interview with Singlepoint, Inc. (OTC PINK: SING) CEO Greg Lambrecht, along with an article discussing the state of the legal cannabis banking industry and the company’s position within it. Mr. Lambrecht also outlines the company’s text message marketing service and its plan to acquire and invest in companies in a variety of sectors of the cannabis industry. The cannabis industry could exceed $50 billion in revenue by 2026, according to Cowen & Co., driven by the ongoing legalization of medical and recreational marijuana throughout the United States. With the passing of California’s Proposition 64, the size of the cannabis industry is expected to roughly triple in the near-term as recreational legalization goes into effect. This represents a key tipping point for the industry and an opportunity for startups and investors. The payments industry could be a lucrative opportunity in the space over the coming quarters. Since cannabis remains illegal under federal law, most commercial banks have kept their distance from the industry. But, those attitudes appear to be rapidly changing as a growing number of states legalize the drug. For instance, politicians like Massachusetts Senator Elizabeth Warren are fighting hard to open banking access to the cannabis industry. 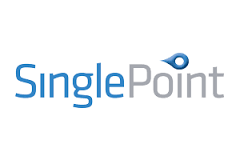 Singlepoint initially recognized the enormous potential for cannabis credit card processing a couple years ago and placed cashless ATMs at around 200 medical and recreational dispensaries throughout Colorado and Washington State. While red tape has kept this business on hold, the network of clients could prove invaluable if and when regulators open up the market by giving the company an ‘in’ to payment processing for cannabis clients. Fast-forward to today and the company has setup SingleSeed.com to start building a list of interested clients, while retaining its cashless ATM terminals as a way for clients to get a cash advance to finance cannabis purchases. The company also launched a connect-by-text marketing platform that enables cannabis businesses to communicate directly with customers in a way that adheres with strict cannabis marketing regulations.